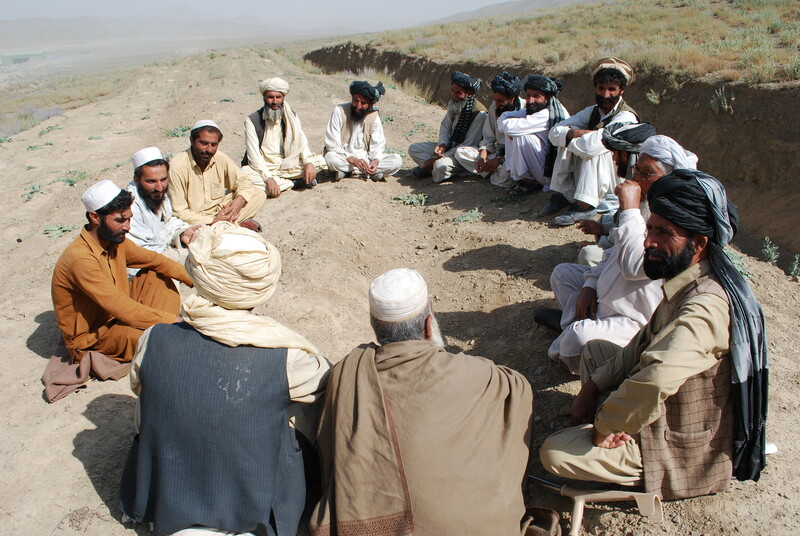 Participation in a jirga in Gardez, Pakhta, southeast Afghanistan to discuss pressing issues. Today, the Taliban continue to fight government forces in Afghanistan, recently launching major attacks such as those in Ghazni and demonstrating the persistence of the challenges at hand. But recall that after the Taliban government was ousted in 2001, Afghanistan made great strides towards democratization, rebuilding its political system around democratic institutions and norms such as universal suffrage and freedom of speech. Political participation increased significantly, which was not possible during the Taliban regime, particularly among Afghan women (in the last parliamentary election, women were elected for 27% of the seats, meeting the minimum requirements set out in the 2002 Afghan constitution). National elections allowed citizens to choose their leaders in a peaceful transition of power. Other significant strides included the adoption of a new constitution and the growth of a free and vibrant media and a committed civil society.